Although it’s typically bustling throughout the day, Chinatown really comes alive on Friday nights. Each Friday night various stands pop up within Chinatown and the sweet aroma of Asian cuisine wafts through the air. From trinkets to dumplings, there’s a stand to feed every need at great prices, indeed! 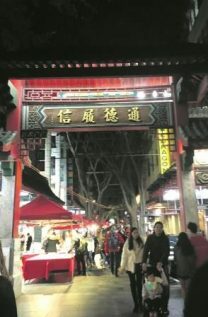 But even if you’re not in the market for anything in particular, it’s worth making a trip to the Chinese Markets simply to enjoy the lively night time ambiance. You’ll think you’ve been transported to the bump and bustle of Hong Kong just by crossing Hay Street.